No one escapes the fact that the management of the online presence of a company or brand must be based on a strategy of Social Media. However, when designing the strategic plan, it should take into account many different aspects. Aspects that would come to compose the basic and essential key to any strategy of Social Media. Any strategy must be raised according to some objectives. The first step in designing an effective strategy is to be clear what is being done with the actions in Social Media. These goals must be SMART, that is, meet the following criteria: specific, measurable, achievable, relevant and measurable in time. Thus they act as key to evaluate the effectiveness of the strategy indicators. Social Media strategy should have a budget itself, depending on which design actions. Social network are not free, nor will be. It is therefore necessary that the company really values the role and potential of Social Media and allocate a budget to the development and implementation of the activity 2.0. Direct actions to the place where your customers are. There are many social platforms, forcing brands to know and practice active listening, to find out where your target audience acts, and what is the best way to reach them. This analysis will also allow target the interests of users, and identifying mentions and interactions to the brand. Process of constant rehabilitation. Social networks are developing, new channels emerge continually changes the way users, their information needs or tools communicate. Therefore, it should be alert and identify trends, new patterns of behavior, in order to adapt to the new habits tenure. The content is one of the main ingredients of any strategy of Social Media.The actions are based on a message, an event or an idea, capable of generating interest and move users to action. The content must be own, special and really good, so that impact and get the audience to appropriate it, to the point of wanting to share in their environment. Shares of monitoring and online action must be developed globally in the field 2.0. 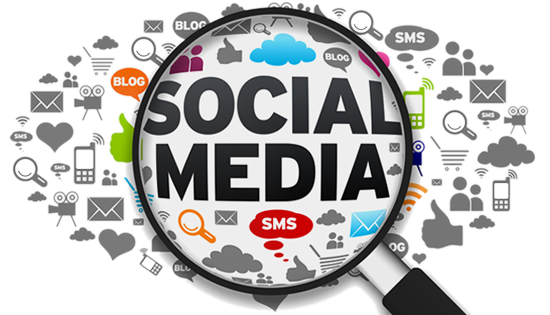 The key to developing an effective social media strategy lies in monitoring, measuring and analyzing , in order to draw relevant conclusions and re-adapting the strategy. Allowing respond quickly to changes and trends. Brands can not only focus on those means and channels on which are able to exercise control, but should also include these other means beyond their influence. Such may be the case of blogs, such as forums and social profiles. Therefore, the mark must be present wherever it is requested, and can not close our eyes to the comments posted by an influencer in your blog, or portals recommendations. The brand has to develop the ability to act and to respond flexibly and efficiently , allowing you to actively participate in the conversation, identify trends and seize opportunities. A good way to strengthen the effectiveness of content strategy is to practice newsjacking, which lets you create a drawing the interest generated by a newsflash message. To do this, the department must work on the basis of a correct gear that allows streamline the process of creating, making and publication of the message. It is important to be prepared and know how to deal with a crisis of reputation . The risk of suffering a crisis of reputation is growing day therefore marks should have foreseen this problem and have a set of guidelines to help you anticipate their consequences. The base lies in identifying the problem early, and have the ability to act in a timely manner in order to avoid damage to the extent possible. Never forget the conversation . Social media is not a channel of mass dissemination of messages, but a place open to dialogue, which invites interaction. Therefore, the content strategy should include proposals and calls to action that invite conversation and encourage engagement with the community. Thus, the strategy of Social Media has become a complete roadmap that clearly shows aa pursue the goal, along with the different roads to travel and all possible scenarios and dangers that lurk along the way.